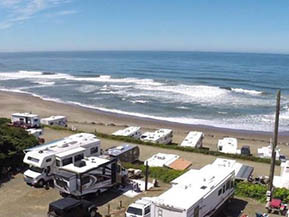 Sea & Sand RV Park is conveniently located on Highway 101 just three miles north of Depoe Bay on the central Oregon coastline and eight miles south of Lincoln City. There are spectacular beach and ocean views from our terraced ocean RV sites, as well as beautiful and cozy forested campground sites, all with easy beach access. The sunsets in the summers and the storms in the winters offer wonderful memories to all our guests, and their pets. 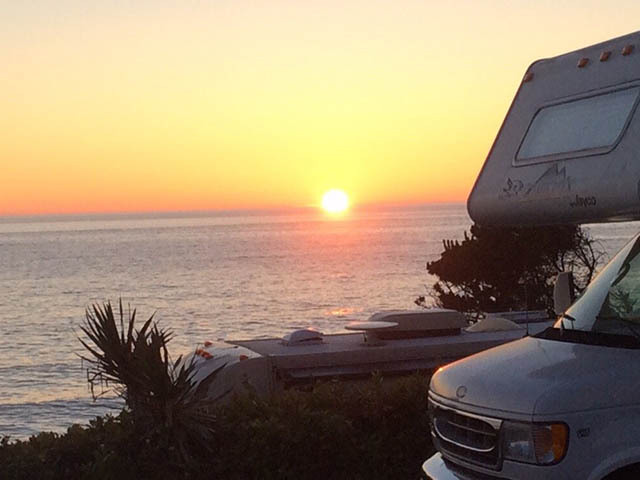 Whether you love the grey whales, are storm watchers, sightseers, want to fish, try your luck at one of the casinos, shop the boutiques, or just be a beach bum or couch potato for a few days- – -Sea & Sand RV Park provides you with a home away from home that is quiet, peaceful, relaxing and conveniently located. Activities are numerous for all ages. 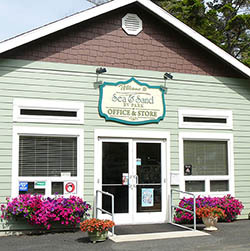 The seven mile sandy beach provides a sand box of agates, shells, and sometimes Japanese floats. Sightings of the migrating grey whales are almost a daily happening in Depoe Bay, and there are charter fleets at Depoe Bay and Newport for deep sea fishing, crabbing and whale watching. Also, fresh water fishing, including steelhead, salmon, and trout are in the local rivers and streams. One mile away is the beautiful resort of Salishan providing an 18 hole golf course and excellent shopping. If you like aquariums, lighthouses, factory outlets, good restaurants, casino gaming, and breathtaking views of the ocean you will find it all between Newport and Lincoln City. See For Yourself What’s Happening! SEA & SAND IS FAMILY FUN, ROMANCE, ADVENTURE!! 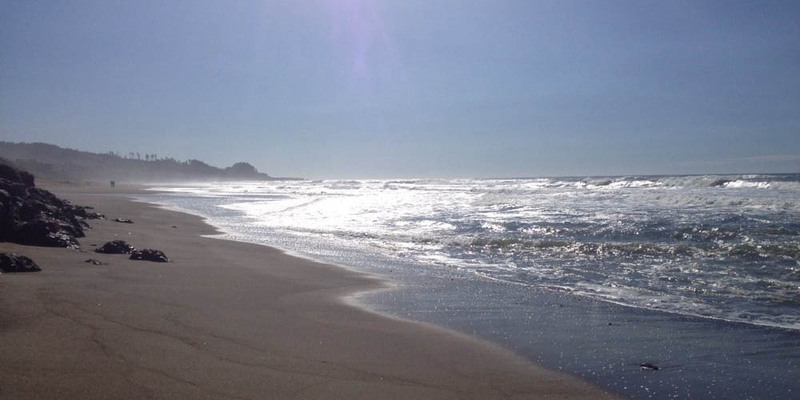 Come stay as our guest and enjoy the experience of the Central Oregon Coast. All our Sea and Sand RV Park spaces have electric, cable, water, sewer, and are accessible to FREE Wi-Fi. 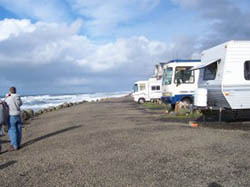 Sea and Sand RV Park has been open for fun and enjoyable experiences to family generations for over 35 years! Guests from years past bring their children and grandchildren to experience the everlasting memories together as they did before! Sea and Sand RV Park is proud to announce numerous park improvements over the next few weeks for the future convenience of both our loyal customers and park staff. We will be: (1) upgrading our wi-fi equipment through Tengo Internet to provide wider bandwidth that will make ease of access and services better throughout the park, (2) installing a new modernized phone system with additional lines for our staff to better serve our customers, (3) changing our credit card merchant services that will include even higher security and adding American Express, and (4) initiating a new reservation system that will help our customers make even faster, more informed, and convenient online reservation choices. All these things are good, but they will present some challenges in coordinating them all being done together since they each interconnect. Consequently, we are asking everyone to please appreciate our desire to make Sea and Sand an even better experience for our guests and be patient with our staff as we work through this necessary puzzle these next few weeks. We apologize in advance for any inconvenience and promise to get through this as smoothly as possible. As always we continue to make improvements to Sea and Sand RV Park. We have upgraded to 50amps from site #77 to #88 and we are so excited to now offer you these improved amenities! We honor Good Sam Park & Active Duty discounts! As a very small way of saying “Thank You” for all of the hard work and sacrifices men and women in the military make, Sea & Sand RV Park has partnered with the Tents For Troops organization. This program provides a way in which Active Duty military personnel can enjoy 2 nights of complimentary RV Camping with their family. So, if you or someone you know is in the Military and wants to come camping, give us a call. Reservations are required. An Active Duty Military ID is required at the time of check in. ARE NOW ONLY ALLOWED IN THE “FOREST” SITES ONLY. 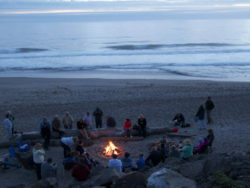 HOWEVER, YOU CAN STILL HAVE A FIRE ON THE BEACH… HAVE A BBQ & WE DO ALLOW PROPANE FIREPLACES. 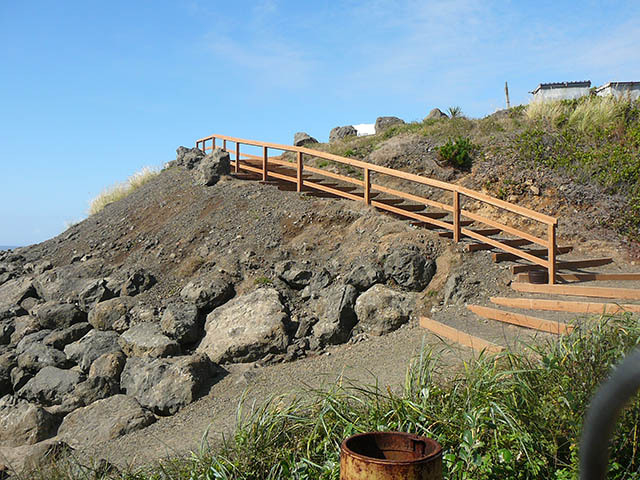 Because of the Guest Surveys we have received, we decided to remove our fire rings at the beach terrace and hilltop sites. Our sites are close in quarters and we want everyone to experience the fresh ocean air at the beach without the campfire smoke. It is a matter of listening to our guests, and their concerns at those particular RV sites. We will continue to allow campfires in our forested areas. Try your luck at Chinook Winds Casino or just cozy up in your Snuggy with a hot chocolate, or any favorite beverage, and enjoy the beach scene or watch your favorite sports team. 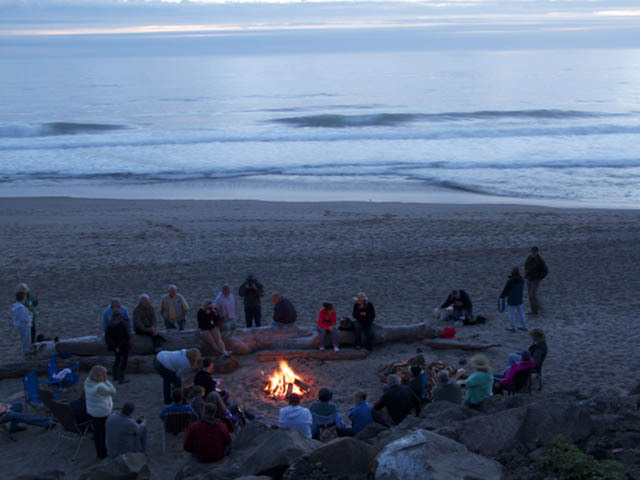 Check out the Depoe Bay Chamber of Commerce and Lincoln City Chamber to see what is going on at the beach, and then make your Reservations today. REMEMBER, you can now make reservations online up to one year in advance from the date you are visiting. Please fill out our guest comment card. We appreciate your patronage and want to know what YOU think. We do read every one, and we do listen! Ask Charlene how to have your own Beach Get-A-Way with our SEMI-PERMANENT RV PROGRAM!